On Friday 5 July, the Metropole Orkest will visit the Openluchttheater Caprera in Bloemendaal for a varied evening-filling program. In three different line-ups the musicians of the MO will bring in the weekend. 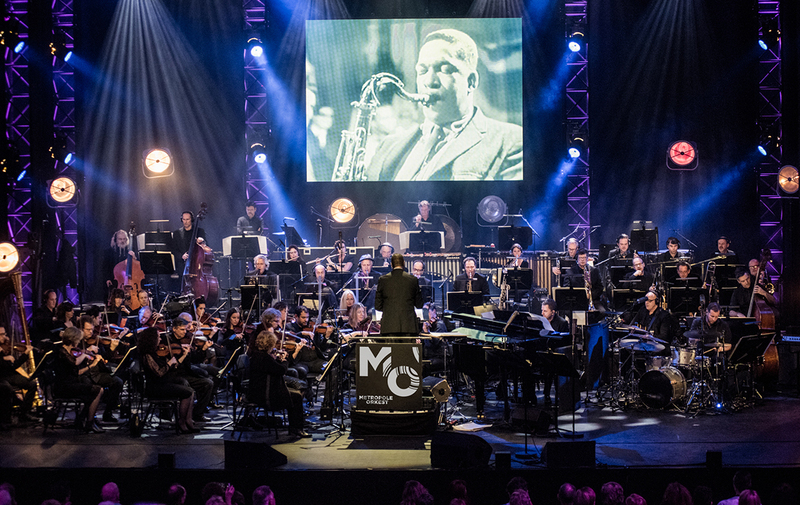 The evening starts with an ode from the Metropole Orkest Big Band to living legend Quincy Jones. Jones, one of the biggest names in music, is perhaps best known for producing albums for big pop stars, such as Michael Jackson’s Thriller. His success in the pop scene aovershadows his brilliant career as a jazz composer, arranger and bandleader. Even before he gained fame through his collaboration with Frank Sinatra, he wrote a large number of fantastic big band arrangements in the 1950s and 1960s. Including ‘Soul Bossa Nova’ (the Austin Powers tune) and ‘Chump Change’. The second set features the Metropole Orkest Strings. As part of the Metropole Orkest, the strings play a huge variety of musical genres. From jazz and pop to chansons, cabaret, musicals, film and world music. As a result, the Metropole Orkest Strings is known worldwide for the special timing needed to play contemporary pop and jazz. In Caprera they will perform the most beautiful arrangements for string orchestra from the recent history of the orchestra. The program climaxes in the third part of the evening when the entire 50-member Metropole Orkest meet for ‘The music from James Bond’. Together with singer Dorona Alberti (Gare du Nord) the orchestra performs the many iconic title songs. If you close your eyes you will see Sean Connery, Roger Moore, Pierce Brosnan and Daniel Craig sneak past your retina!